The Business Studies Department of Nizwa College of Technology is aspiring to provide students with a happy learning environment, incorporating traditional as well as newer learning techniques. The focus is on learning rather than traditional teaching and the students are at the core of this process. One of the approaches being promoted in the department is to address the attitude of the students, as attitude is an important component of the Knowledge, Skills and Attitude triad of learning, but unfortunately eclipsed by the heavy weights of knowledge and skills. In addition to essential subjects like Business Ethics, Formal Logic and Job Search Technique, many soft skills are being imparted to the students in an endeavor to develop a 'complete citizen' rather than a knowledgeable and skilled individual. Empathy is the key to mould the sensibilities of the students towards business and human interaction. Business Studies is one of the most sought after disciplines in the modern world reflecting the need for its graduates in most of the sectors in the economy of any nation. The curriculum is designed and developed to meet the challenges of current business environment. The department produces graduates well equipped with the necessary skills and competence to work in both public and private sectors. The Department brochure provides the basic information about the courses in Business Studies at NCT. Class assignments and specialization projects focus on putting knowledge to work. They seek to bridge the gap between theoretical models and business realities. The department is in the process of fulfilling all essential requirements to achieve the quality standards set by the Ministry of Manpower and the Oman Academic Accreditation Authority (OAAA). To provide high quality applied and professional business education in order to produce competent, resourceful and ethical Omani business graduates in different business disciplines. To train Omani youth, and to qualify them to take up gainful employment in the public and private sectors to achieve the national goal of Omanization, by providing qualified Accounting & Management Technicians. To enable students to gain comprehensive knowledge and first-hand experience of independently operating business enterprises, by promoting the concept of self-employment, and generating entrepreneurial spirit among the Omani youth. 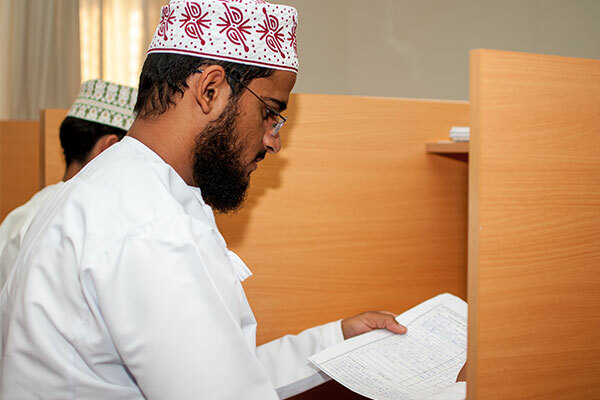 The Business programs at the Nizwa College of Technology have an enviable reputation for high quality and applicability to workplace needs. All courses are designed to equip students with lifelong learning and communication skills that help them excel in their chosen careers. Business graduates find their skills highly sought-after by many Omani organizations. They are taught by well qualified faculty who ensure that the students gain the practical experience and theoretical and professional training they need to enter the modern business world. Business programs range through Diploma and Advanced Diploma levels across the following specializations offered based upon GPA merit in each batch intakes.